Fall means one thing for many kayakers in the South East. Race season. I spent all of October either working for Greenville County EMS or training on the Green River, for the quickly upcoming race. I did, however, have one of the most powerful experiences of my life while I was working on an ambulance. I had the honor to help a young mother bring her first child into the World while in the back of my ambulance. After he came out, I just stood there, with this tiny little human, I watched him take his first breaths and open his eyes. I was in awe of what had just happened and in the 7 years I have been a Paramedic, I have never had a more powerful moment. While it was happening, I had doubts in my mind, that I could do it, then I remembered it wasn’t me doing the hard part. 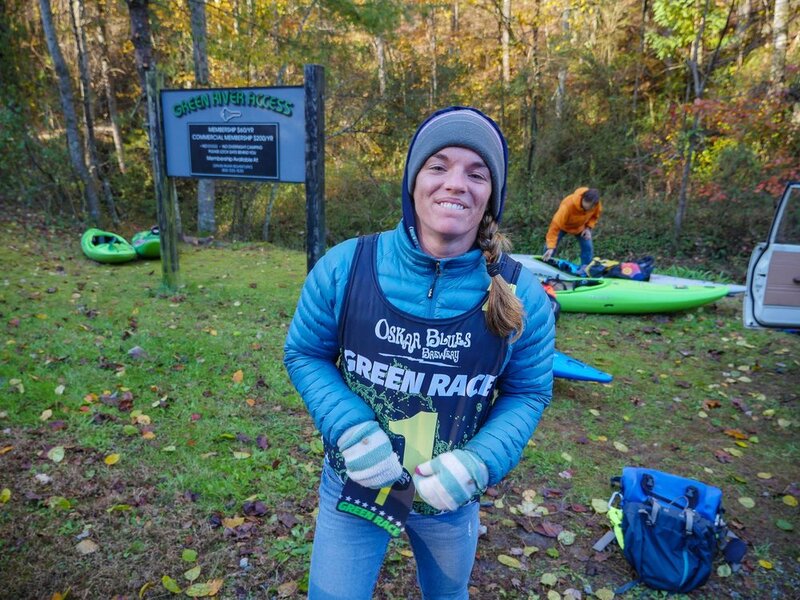 It was a powerful eye opener and it put me in the perfect mentality for the Ocoee race (which I won but didn’t break the 30 minute mark), the Russell Fork race (which I won for the 7th time) and the quickly upcoming Green Race. The Robertson clan, so fresh and so clean. 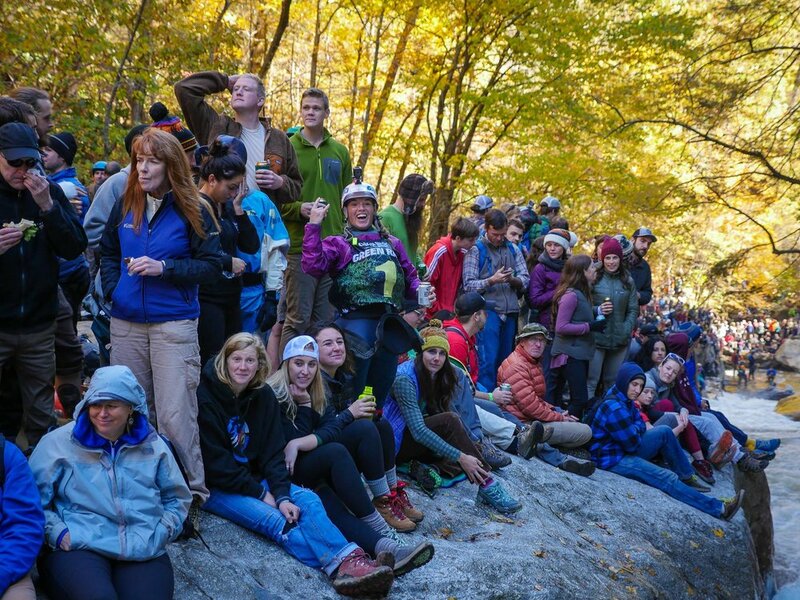 The Green Race is always the first Saturday in November and it is truly my favorite day of the year. I was surprised by the race organizers on the Thursday before the race that I would be racing 1st, leaving the start line in pole position at high Noon. I would also be wearing the #1 bib. This was huge. Usually, the man in pole position is the one who had won the race the year prior. This year, Eric Deguil decided to not come to the race, leaving that position open. This was huge for the people who support me and especially for the girls and women who I inspire to keep paddling or try racing. I was even more nervous on the starting line, knowing that Pat Keller was chasing me down, like a fox. Feeling the energy the day of the Green Race is like nothing I can feel any other time in my life. The banks of the river are alive with thousands of humans who all hiked miles to watch all of these crazy kayakers go down the Narrows. No rest for the weary, the day after the Green Race Snowy and I flew to the UK to see his family. His father, by sheer coincidence, had a stroke while we were flying to the UK so our plans changed quite a bit while we were there. Luckily, it was caught early and he will be making a full recovery. We were there for ten days and still got to have some sweet adventures, including a very wet day at Bike Park Whales, railing some berms on mountain bikes. We quickly headed to Michigan after landing back in the US for Thanksgiving. My 91 year old grandmother isn’t getting any younger and Thanksgiving is always our time with her. I was home for just two days after returning home from Thanksgiving, I hopped a plane to Ecuador for a quick two week trip to the jungle country. I tumbled into this trip and didn’t miss a day of paddling while I was there. I explored a couple of new rivers and reignited my love for the jungle while there. Head over to my Facebook to check out some videos of the heavenly class 4 kayaking Ecuador has to share. If you are looking for a quick trip into the jungle, head over to River People Ecuador and they will hook you up with a beautiful place to stay and a local guide to make sure you don’t take any wrong turns while on the river. My trip didn’t last as long as I would have hoped but I headed home only to turn around two days later and go back to Costa Rica for our yearly migration, together. Snowy and I celebrated the holidays not by giving each other gifts but by giving each other time and love. We rung in the New Year on the beach, beneath huge fireworks reflecting off of the ocean. We welcomed the sun of the first day of 2019 from our surfboards. Happy New Year. Let’s make this one better than last.